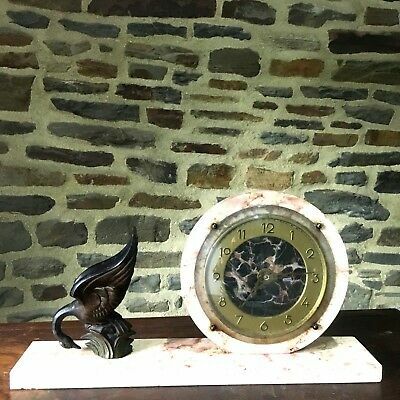 Seller: goldendragon1956 (843) 100%, Location: Bridgend, Ships to: GB, Item: 113710877224 A very attractive Black variegated marble and gilt quartz carriage clock. 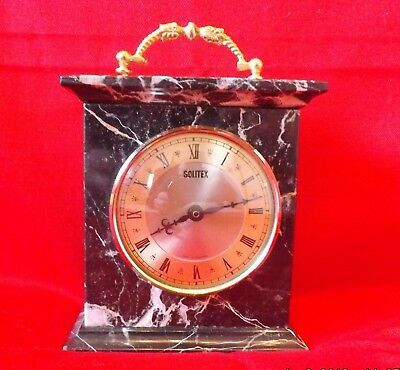 The polished Black marble case is in excellent condition and measures a petite 5 inches High, 4.75 inches wide. The case is surmounted by an ornate gilt carrying handle. 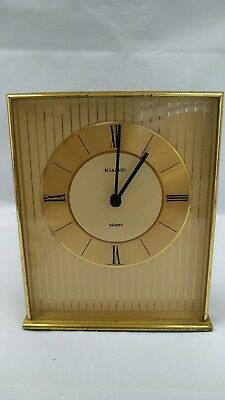 The satin Gold finish dial has Roman numerals and is signed Solitex, Made in England. 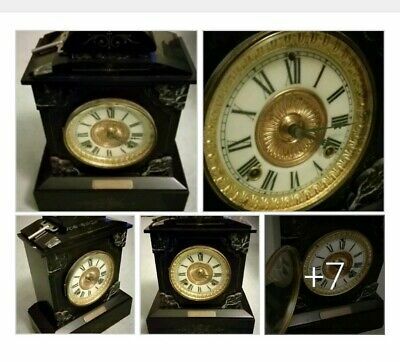 The quartz movement is not working, but New quartz movements are readily available on ebay for little cost. Thank You for looking, UK BUYERS ONLY Condition: Not working. Seller - 843+ items sold. 0% negative feedback. Great seller with very good positive feedback and over 50 ratings. 843+ items sold. 0% negative feedback. Great seller with very good positive feedback and over 50 ratings.